Suppose this happened. On his way home Bill, a single missionary, waved at Tom and Ruth playing with their children in front of their big house. As he went into his apartment, he realized how small it really was. It was big enough for him, but he barely had space to turn around in his kitchen. He surely could use more space. 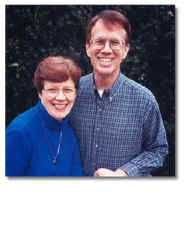 Mary, another single missionary, followed Bill into the neighborhood and waved to Tom and Ruth as well. As she went into her apartment, she realized how lonely it was with no one else there. She would really like someone to care for her and laugh with her like Tom did with Ruth. Bill and Mary are not contented with things just as they are. The thing that brought their discontent into consciousness was the sight of Tom and Ruth at their house. Anyone can have feelings of discontent, but single missionaries may feel it about different things than do married missionaries, and they have no one to talk with about it. Paul, a single missionary, wrote a supporting church that he had learned to be content whatever the circumstances. He knew what it meant to have plenty as well as to be in need, and he had learned the secret of being content in any and every situation (Philippians 4:11-12). Note that this was something he learned, not something that came naturally, and that ability applied to whatever happened. He also wrote to a young missionary pastoring a church he had planted during a stay of several years in Ephesus. Paul wrote, “Godliness with contentment is great gain” (1Timothy 6:6). The only other place that word for “contentment” is used in the Bible is where Paul wrote to another church he planted. It is the “having all you need” in the following passage: “in all things at all times having all you need you will abound in every good work” (2 Corinthians 9:8). That is contentment! Of course, even though married individuals have a spouse, they may also begin coveting someone else’s spouse. Not having a spouse, singles may be even more likely to begin coveting. As soon as attraction to a married person begins, singles must take steps to prevent it from growing. As attraction grows, it becomes a slippery slope down which people slide and become irrationally willing to give up everything for that other person—even if it means breaking up families, derailing missionary careers, and living in sin. Compare self with self. If you must make comparisons, compare yourself with yourself. Galatians 4:6 says, “Each man should examine his own conduct for himself; then he can measure his achievement by comparing himself with himself and not with anyone else.” Compare your apartment, salary, vehicle, and so forth now with what you had 10 or 20 years ago, not with what married missionary colleagues now have. Compare with those who have less. Rather than comparing yourself with married missionaries who have more, compare yourself with people you serve who have less. Compare your apartment with the living conditions of the homeless. Compare your salary with the unemployed and nationals you serve. Compare your vehicle with those who have no vehicle at all. Just as comparing yourself with those who are better off creates envy, so comparing yourself with those less well-off increases contentment. In fact, as you “count your blessings,” you may be motivated to share them with others who have less. Such sharing will increase your satisfaction even more!